I mentioned this book a few days ago. I've always been interested in writing non-fiction and have a blog where I do a lot of this. Open only to my eyes, at the moment, partly because some of it definitely would need editing before going public and partly because some of it is quite private to me. I have some plans ahead for when we are settled again. A few months ago I bought a program for writers, Scrivener .which is available for Macs only. It has many features including storyboards, different folders, easy edits, very easy imports from other things on my computer or from links and much more. It was about $70 AUD when I bought it, but would be cheaper right now with the Aussie dollar over 90 cents. Julia Cameron's book has been around for many years. She speaks of recovering such traits as identity, power, possibility, integrity. Her principal premise is the absolute need to write everyday. She suggests three pages of handwriting material be produced every day. Now I type. It's better for my fingers. I don't re-read what I've done and I rarely start out with a particular thought in mind. Occasionally I find I have written something like a stream of consciousness. She believes that just the act of writing like this helps get rid of log jams in the mind and gets creative juices flowing. I find she's right. I also find that this idea carries over into other fields of creativity. 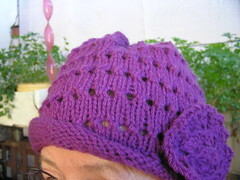 The more knitting I do, the more I do and the more ideas I have of what to do. If I leave things for a few days, I find it hard to get into the swing of things again, and my ideas of future creations dry up. 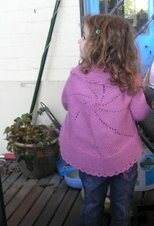 I'd be interested to know if others, knitters and other artistic people find this to be so for them. If you are interested, the book is readily available in libraries and retail outlets. I do find it hard to come back to a project if I've left it for a few days, especially if the reason is because something went wrong in my last session! Good luck with your writing ... and don't give up. yep as we've established, Blogtoberfest is good for this isn't it? Making us write daily. I think if I take anything from doing it (again) it's that it is good for me. But I think I would like to keep going with writing daily with stuff that isnt necessarily for public consumption - the freedom of doing that would be good I think - just writing and writing and seeing what comes out of it. I have really enjoyed writing daily. I am not sure I will continue to do so, but it has made me want to blog more frequently. When I was at school I was writing all day and at night and weekends: we didn't have computers till the last 10 years I was teaching, so it was all by hand. And always by hand in the classroom, I have a writing dent in my right index finger!!! Hope your writing endeavours go well. I loved The Artist Way and have kept to daily morning pages for around 6 or more months now. I agree with you, keeping momentum is really important.